There's an ongoing census here in Italy right now. 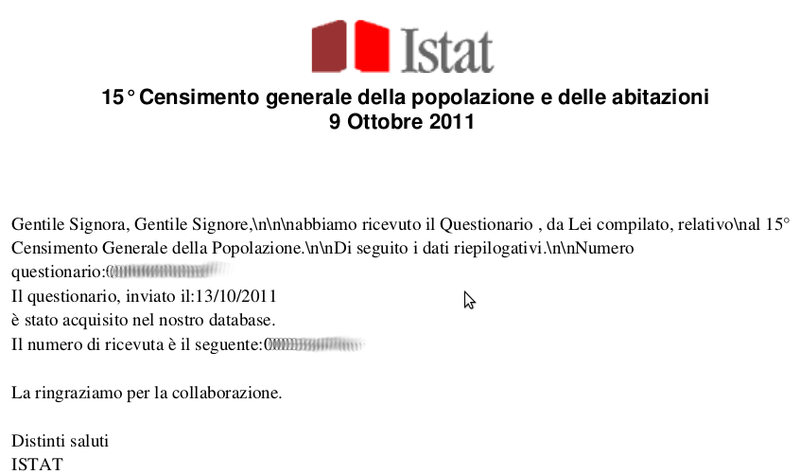 I've just sent my form using the website of the Italian statistic institute. I presume that the "\n"s are just a tribute to Dennis Ritchie in the day of his passing.